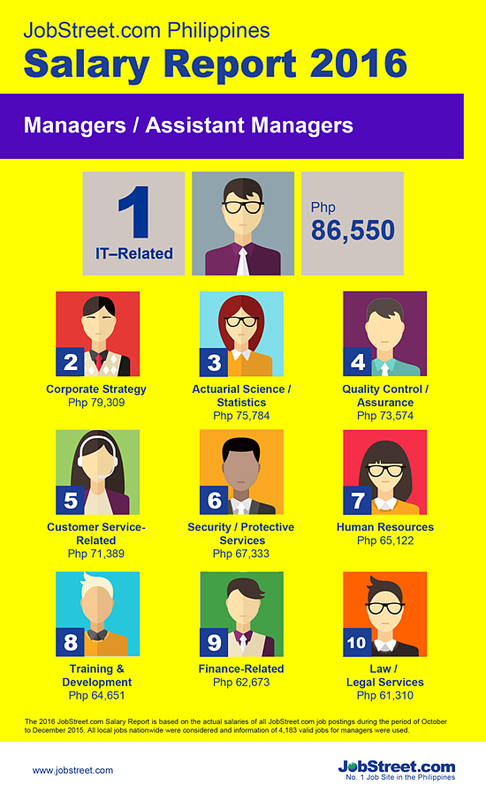 In its 2016 Jobs and Salary Report, JobStreet.com said jobs in IT-related specializations provide monthly salaries ranging between Php38,000 and Php86,550. 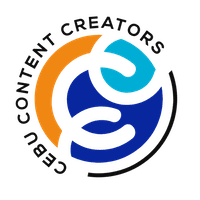 Jobs in this level include web developer, software developer, and systems administrator while on the high end Jobs in this level include systems analyst, IT project developer, and senior software developer. The National Salary Report, which is based on JobStreet.com job postings from October to December 2015, showed supervisors (employees with five or more years of work experience) in the IT-related industry once again received the highest average monthly salary at Php63,485. Supervisors in legal services, such as legal counsel and intellectual property specialist, get an average monthly salary of Php43,128, while those in quality control/ assurance get paid Php38,644 a month. The call center/IT-enabled services/BPO industry is also the most in-demand industry with more than 260,000 jobs posted on JobStreet.com in 2015. For supervisors, the highest paying jobs are in law/legal services (Php43,128); quality control/assurance (Php38,644); finance-related (Php36,757); and customer service-related (Php36,082). The highest paid managers and assistance managers are in corporate strategy (Php79,309); actuarial/statistics (Php75,784); quality control/assurance (Php73,574); and customer service-related (Php71,389). Gioca noted a significant jump in salaries of corporate strategists by as much as 47 percent in 2015. He added that average salaries across top jobs in demand in the Philippines jumped 10 percent in 2015 compared to last year. Salaries, especially for junior executive and supervisors, increased from at least 2 to 12 percent. This (salary increase) is reflective of what the economy is presenting us. 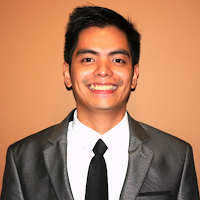 The number of jobs grew because the economy (performed) much better that we can now afford to give more jobs, said Philip Gioca, Jobstreet Philippines Country Manager. JobStreet.com is a leading online job board covering employment markets in Hong Kong, Thailand, Malaysia, Singapore, Indonesia, and Vietnam. 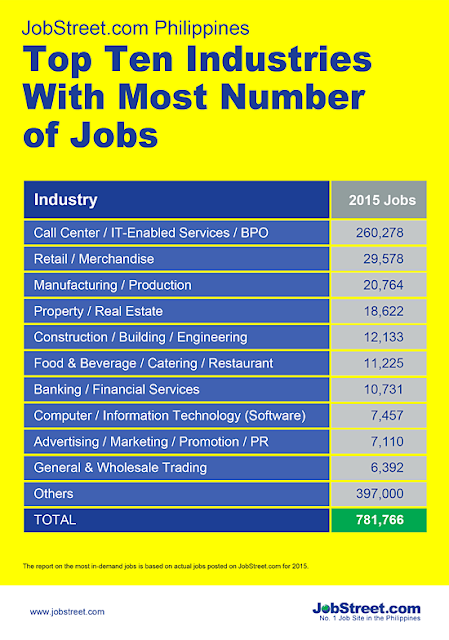 It presently services more than 230,000 corporate employers and over 15 million job seekers in its database.